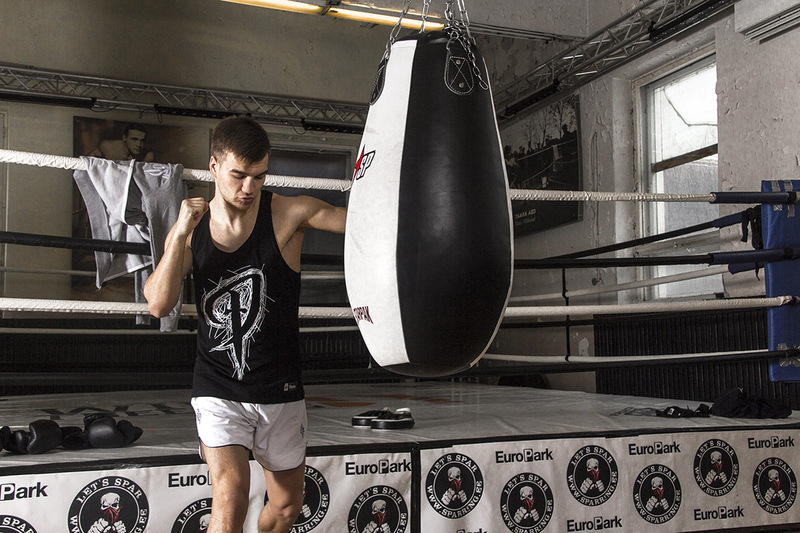 At the end of April, we did a photoshoot with two great Estonian boxers at Wiru Treening. The models were pro-fighter Ott Remmer and Estonian kickboxing champion Pamela Pavlovitš. Ott Remmer doesn’t need any introduction to boxing fans, we did a blog post about him back in October. Check it out! Pamela Pavlovitš is a Jill of all trades, she works for a notary as her main job but besides that, she has time for kickboxing, make-up, and photography. In 2009, Pamela won the Estonian Championship gold, what makes it remarkable is the fact that she took up kickboxing only five months earlier. Last April Pamela won the gold medal in the 64kg weight category at the Estonian Championship, she also took her chances in higher weight category 71kg and won the silver medal.